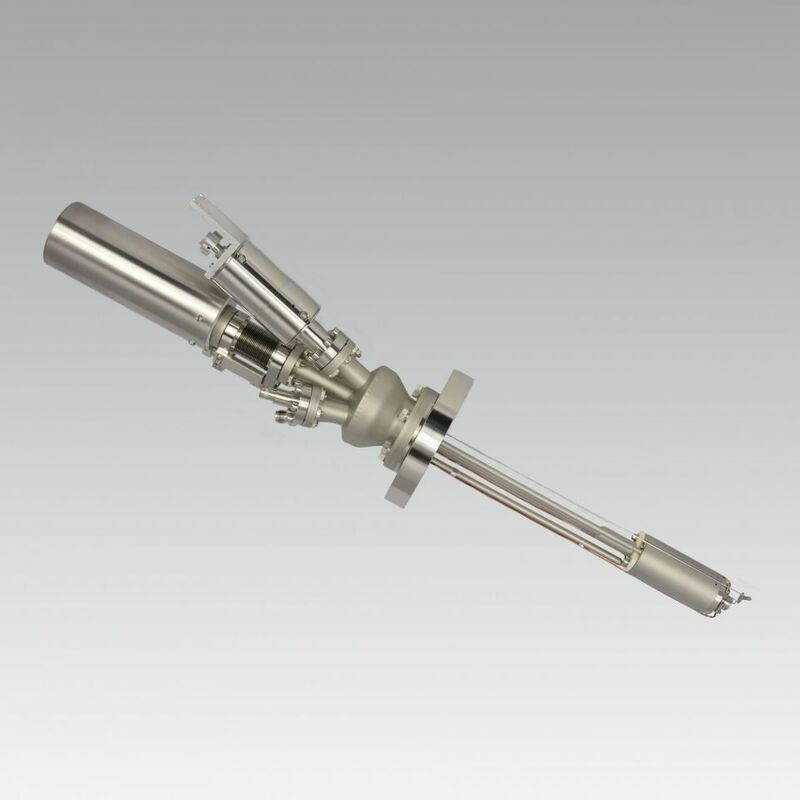 The EBE-ST (Electron Beam Evaporator - Standard) is designed for use in a MBE system for evaporation of various materials with low vapor pressure. The heating of the material is performed by electron beam bombardment. Due to the evaporated source material there can be used either a crucible, where the source material is filled in, or the source material is shaped like a rod, from which the material sublimates by heating with electron bombardment.